The 11 Best Mecha Anime You Should Watch - Robo-Rumble! Japan and giant robots have a long history together. There’s just something about a humanoid machine stomping around that appeals to generations of young Japanese anime fans. A huge industry of model builders has sprung up, not to mention mecha video games. Mecha are probably the most iconic signature of anime and here are ten mecha anime that I think represent a great sampling of the genre. While not everything here is for everyone, I have no doubt that anyone who likes the basic idea of big robots will find at least one of these suggestions a perfect match. It feels a little weird to simply think of SDF Macross as a mecha anime, since it seems like so much more, but the transforming humanoid robots from this classic show are its most memorable visual feature. 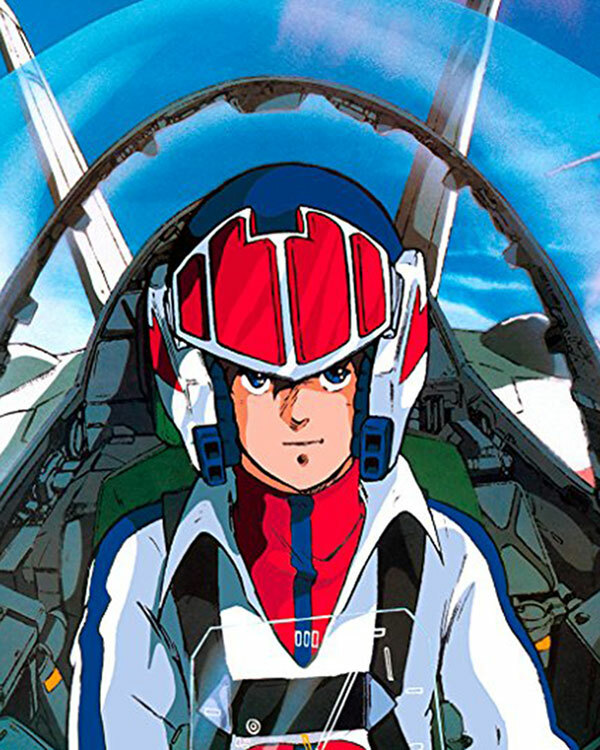 American readers will recognize this show as “Robotech” because a company named Harmony Gold got the rights to Macross, Genesis Climber Mospeada, and Southern Cross. These three shows were then recut and dubbed into a single story spanning multiple seasons. Needless to say, watching Macross and the other shows as originally intended is a much more coherent experience. The story of Macross can be a little convoluted, but essentially it tells the story of a war between Earth and invading alien forces. Earth has discovered a gigantic alien ship and has reverse engineered its technology while also refitting the ship to fly. Just as it’s ready for its return to the space, the aliens attack and the major events of Macross kick off. At its core Macross is a story about a love triangle between three major characters, but in every way this is an epic story spanning 36 episodes. It’s also a great introduction to the writing and art style of mangaka Haruhiki Mikimoto. I love the 80s anime aesthetic very much and Macross is not only a great mecha anime, but a crash course in 80s anime as it went on to influence just about everything that followed in that decade. Beyond anime itself, the Gundam media empire is a phenomenon of its own. In many ways Gundam is THE mecha anime series. The franchise started in 1979 with the release of the first Mobile Suit Gundam anime. There’s little doubt that the first show essentially invented and cemented the idea of realistic robots in military fiction. Today this media property is worth 80 billion yen a year, or just over 700 million USD as I write this. There have been almost 40 Gundam anime and there will doubtless be many more, but for my money the tenth Gundam anime, Gundam Wing, is the best entry point into the Gundam world. Don’t worry too much about missing out. Gundam is almost like Final Fantasy in that each series is really its own thing. There are common elements between them and some seem to happen in the same universe, but for all intents and purposes you can treat them independently. So why Gundam Wing in particular? Well, for one thing I think this is the most accessible series, and to me it represents a time when the show peaked in terms of art style. In all honesty, Gundam Wing is not the favorite Gundam among Gundam fans, but it is the show responsible for bringing Gundam to the West and making it popular. This is why I recommend it as the first Gundam to watch if you’re an English-speaking viewer who has never seen any Gundam at all. If it worked for an entire generation of fans it can work for you too. 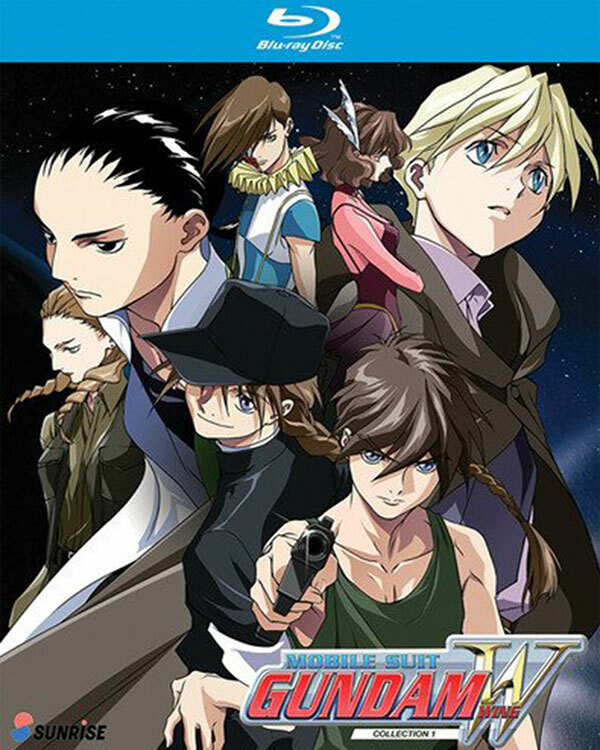 As to the plot of Gundam Wing, five pilots are dropped on the Earth to complete a secret mission. They come from the colonies and each one is unaware of the others. The Vision of Escaflowne is the first ever mecha anime I saw that bucked the trend of science fiction mecha. In other words, the mecha in the world of Escaflowne are not powered by scientific principles such as nuclear energy and electrical motors. These are powered by dragon hearts, mana crystals, and other such fantastical things. In the case of Escaflowne it’s literally dragon hearts, which is why the show opens with our hero slaying a land dragon to nab its pumper. Isn’t that what the kids are saying these days? 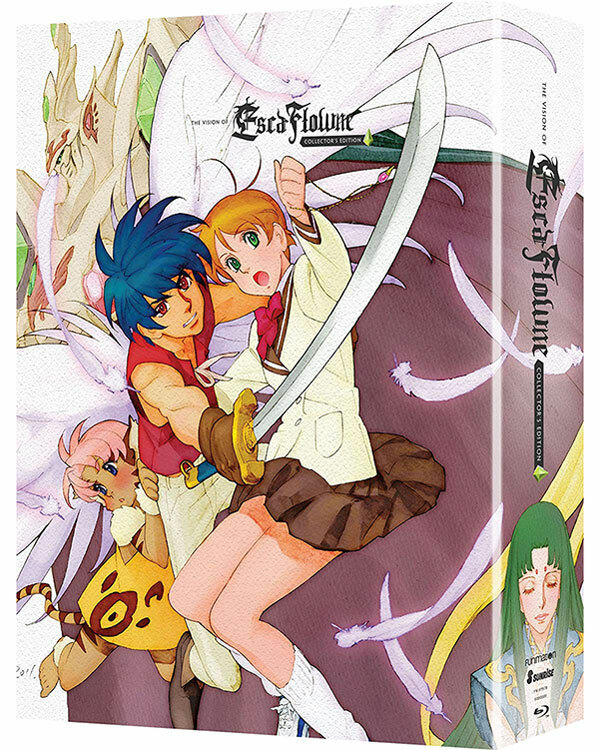 Escaflowne is also part of the “isekai” or “other world” genre, because the main character is just another typical Japanese schoolgirl who somehow finds herself transported into the middle of a fantasy conflict. The story of Escaflowne is one that doesn’t hold too many surprises, but it’s a good yarn supported by some of the most beautiful artwork in any anime. There are plenty of 90s anime that hold up perfectly well to modern digital animation, and Escaflowne is one of them. Amazing art design, attention to detail, a killer soundtrack, and more make this a must for any mecha anime fan’s collection. 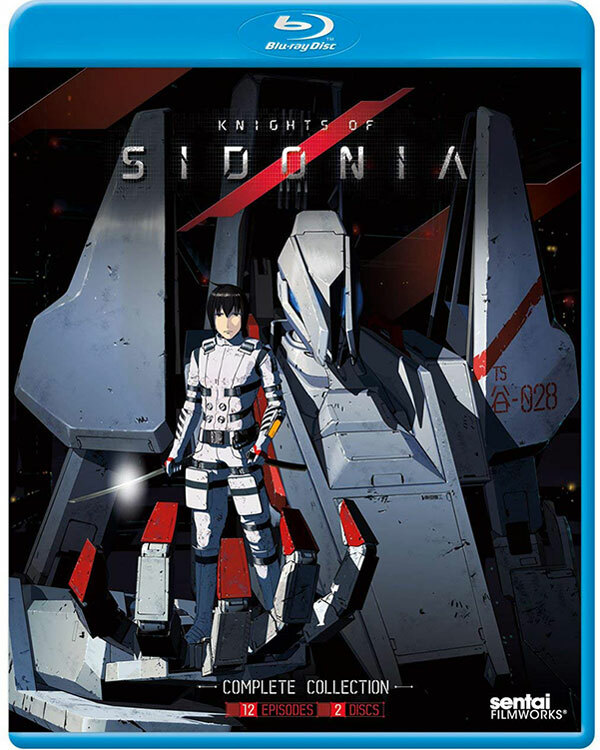 Knights of Sidonia took me completely by surprise. It popped up in my Netflix feed one day as a “Netflix” original, meaning that Netflix has the exclusive streaming rights. I gave it a go and today it is without a doubt one of my favorite mecha anime. One of the main things I like about Knights of Sidonia is that this is a proper hard sci-fi story. The titular Sidonia is a gigantic, hollowed-out asteroid which serves as mankind’s last home after the Earth is decimated. Although there is mention of other such asteroid outposts, we only ever spend time with the Sidonia. I’m not a big fan of the new pseudo-2D CG anime we see these days. Sidonia is a rare exception to this for me, balancing out the obvious use of CG without losing the spirit of what makes anime so unique. The space-based mecha of Sidonia are perhaps not the show’s best feature, but they serve their purpose well and the battles against the story’s alien enemy is never less than spectacular. The best part of Sidonia to me is that this is a real sci-fi story and not just an action adventure dressed up as one. It plays with notions of gender, morality, and radical technological effects on society in fresh and interesting ways. Both sci-fi and mecha fans would be remiss in letting this show go by unwatched. Gurren Lagann is one of the only Super Robot mecha anime on this list, which I guess reflects both my personal lack of interest in these shows as well as their decline in popularity. I still have a soft spot for classic shows like Giant Robo, but general realistic robot anime is where it’s at these days. Gurren Lagann is an exception to this in many ways. It’s pretty modern, being released in 2007. One of the reasons it stood out so much is exactly because of the rarity such shows have these days. Trying to explain the plot of Gurren Lagann is like trying to get someone to understand why many other cult shows are worth watching. In a word, it’s crazy. There’s method to the show’s madness, but overall you just sort of have to accept what’s happening on screen. In some ways it gave me the same feeling as watching another GAINAX production, FLCL, but with a totally unique mix of super robot, real robot, shonen, and even shojo elements. To give you a basic rundown of the plot, it is set in a future where humans live in underground villages because of an oppressive ruler. The main characters are just humble village workers who uncover some mecha and then get tangled up in the rebellion against this tyrant. That’s just for the opening act of the series, which proceeds to ramp up the insanity as well as the pure fun factor. 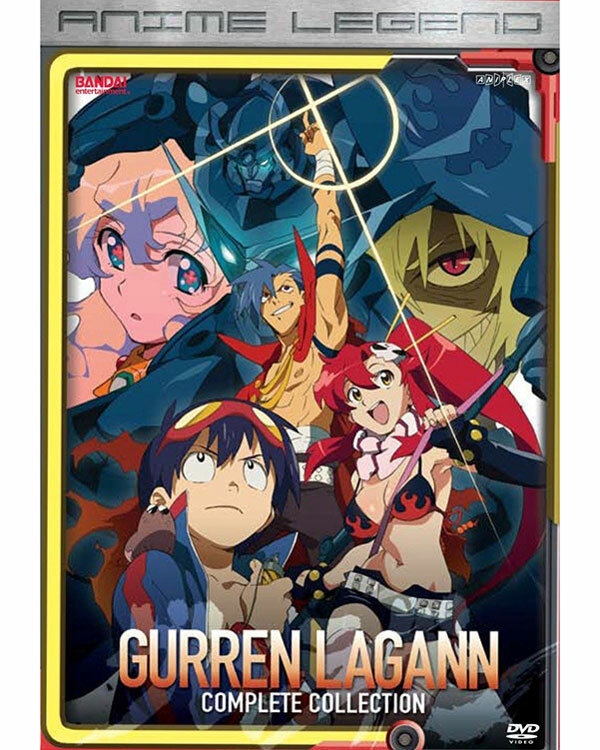 I really don’t want to spoil the insane plot twists and turns this anime has to offer, so I’ll just say that if you are in the mood for some less serious yet still awesome mecha action, then Gurren Lagann is a must-watch program. 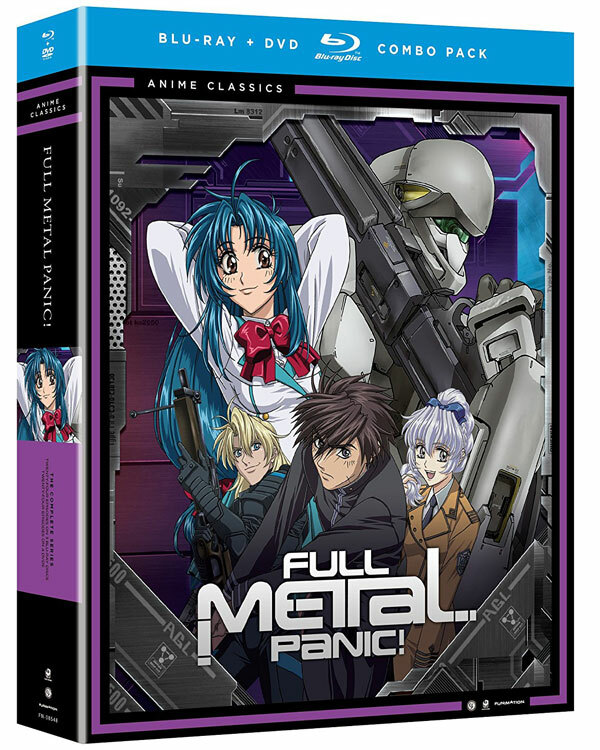 One of my personal favorites, Full Metal Panic is a realistic military mecha comedy that seems to have just the right proportions of mecha action and hilarious romantic school comedy thrown into the mix. Does that sound like it shouldn’t work? Well, I can tell you Full Metal Panic is certainly one of the most entertaining and endearing shows to ever grace the mecha genre. I don’t particularly like the character design, and the CG animation parts are starting to show their age, but none of that can dull the shine of a bloody good yarn. Full Metal Panic tells the story of Sergeant Sagara Sousuke, a former child soldier who is now part of an advanced independent military organization at least a decade ahead of current military technology. Sagara, along with the rest of his team, travel the world by submarine and deploy to various troubled spots with precise military intervention, shaping the course of conflict in the world. One of the reasons their organization, Mithril, is so advanced is thanks to the so-called “whispered”. The Whispered are mysterious people who have knowledge of advanced scientific and technological research in their minds. These whispered are sought after for this reason. The story’s main plot point is that Mithril discovers a whispered girl and assigns Sagara, the only one young enough, to be her secret bodyguard. As you can imagine, Sagara falls into the stoic character trope. Having known only war and military discipline he struggles to adapt to civilian life, leading to shenanigans of every stripe. There are two seasons of FMP, with an in-between “season” known as Full Metal Panic Fumoffu! Fumoffu is a less serious look at the characters day-to-day lives without an overarching big-bad plotline. All three of these FMP series are totally worth watching. You can’t talk about the mecha genre without at least giving a mention to Patlabor. Patlabor is one of the big mecha franchises that spans manga, games, film, figures, and television programming. It’s important to know that there are two timelines in Patlabor that you can treat as separate for all intents and purposes. 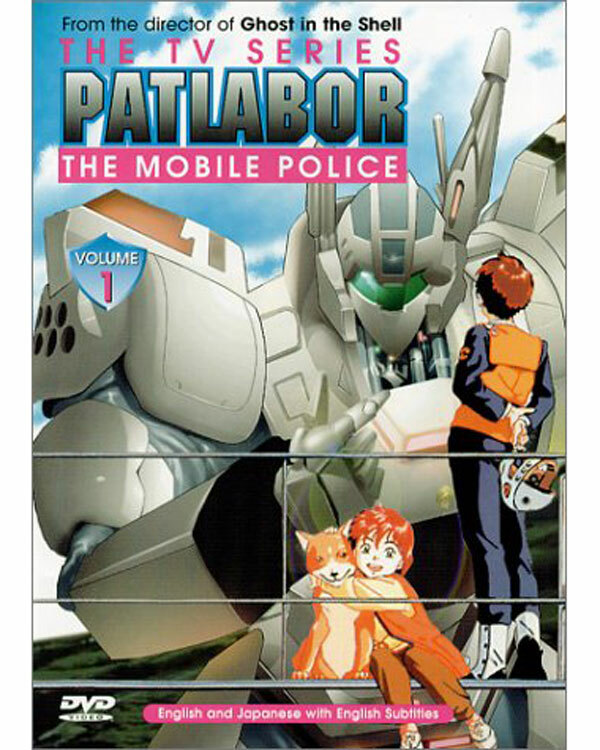 There’s the movie timeline which starts with an 1989 OVA series called “Mobile Police Patlabor”. Then there are three movies that follow it chronologically. Here I’m referring to the 47-episode TV series which ALSO aired in 1989, but is set in a different continuity. I’m not saying that the movie continuity is better or worse, just that starting with the TV series is more accessible. The story follows the adventures of a special police unit that make use of “labors”, their term for humanoid vehicles. Labors are widely used for things like construction, but when they are used for crime then the Special Vehicles Unit are brought in to deal with the issue. The series is a little slow off the mark, but if you stick with it and enjoy realistic police-themed shows, then you’re in for a treat. I guess at times it’s a bit like that 90s bicycle cop show Pacific Blue, except with big stomping robots. I already mentioned this show as my all-time favorite in the list of my top five anime, but it would be an absolute sin not to include it in the mecha anime list itself. Evangelion is a very genre-savvy show. It’s both a mecha anime and at the same time a savage deconstruction of mecha anime as a whole. Evangelion’s first few episodes hew more-or-less close to the main mecha tropes. It quickly takes a turn for the weird, becoming one of the most influential anime dramas in history. Evangelion is an intense psychological mind- er that pulls no punches and can leave the unprepared a little scarred in the process. Think of movies like the Matrix, Inception, and Vanilla Sky. Evangelion stands on the same sort of reality-bending mystery foundation. It follows the story of young Shinji Ikari, who is called to Tokyo-3 by his estranged father Gendo. Mr. Ikari Senior is in charge of a secretive government organization known as NERV, tasked with protecting the Earth against mysterious giants known as “Angels”. If they fail it will lead to the “third impact” – an extinction-level event which means the end of the world. What follows is the tale of cowardly Shinji’s mental trauma, the conspiracies of adults, and enough religious, psychological, and spiritual symbolism to make a Scientologist’s head spin. 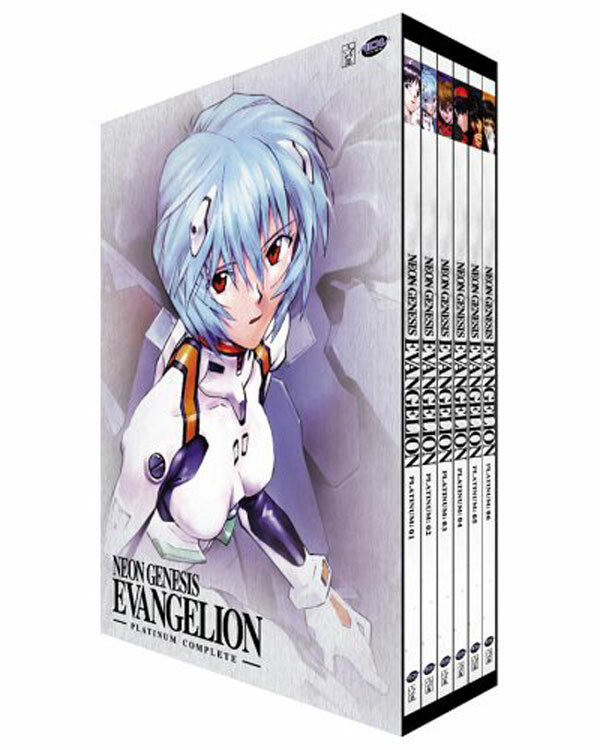 Evangelion has recently been remade as four films, with the fourth still to be released, but I recommend that anyone start with the original 26-episode TV series, followed by two films: Death & Rebirth and The End of Evangelion. Speaking of Evangelion, after it first aired there were quite a few shows “inspired” by the iconic series. There was now a hunger among fans for that same gripping mix of mecha and madness. To be honest, most of these Eva-aping shows were junk, but RahXephon is a genuinely good show that does enough of its own thing that I really do recommend it as an essential anime to watch. Ayato Kamina is caught in an incident known as the “Tokyo Jupiter Incident”. It’s named in this way because of a giant spherical object that swallowed Tokyo virtually whole. Inside, time flows more slowly than outside this bubble. The show starts with a mission to penetrate into “Tokyo Jupiter”. One of these invaders desperately works to make contact with Ayato, but what does she want and what’s the truth of Tokyo Jupiter? Like Evangelion, RahXephon has unusual mecha – in this case called “Dolems”. Dolems (a riff on “golem”) are made from clay and then animated by some sort of supernatural or advanced scientific methods that’s connected to music. Ayato has his own mecha to fight the Dolems, the titular RahXephon, also somehow connected to music and its power to change the world. RahXephon is a beautiful, strange, and wistful show. It doesn’t quite reach the psycho-babble thriller intensity of Evangelion, but it has a similar schizophrenic lens at times. 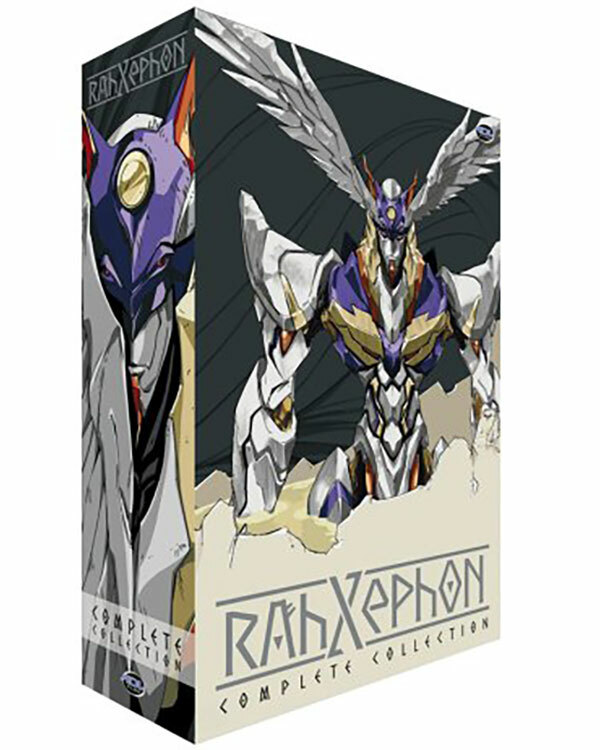 The bottom line is that if you’ve watched all the Evangelion you can and still want more of the same, RahXephon is probably the best of the bunch. This anime is also in my top 5 personal anime so you already know that I like it quite a lot. Code Geass is set in an alternate timeline where the British did not give up on their colonial ways. The Kingdom of Britannia has in fact annexed Japan, which is now simply known as “Area 11”. The Japanese have been stripped of their rights and cultural heritage with a strong rebellion underground fighting against the occupation. The story of Code Geass follows one Lelouch vi Britannia. He’s an exiled prince and son of the current emperor. Few know that he and his sister still live; he exists in Japan under an assumed name, protected by a powerful family. Of all the emperor’s children Lelouch is the one that has most strongly inherited the genius for strategy and tactics. After he meets a mysterious girl who grants him the power to control the mind of a person once, he begins his quest of vengeance against the emperor and Britannia as a whole, using the Japanese resistance as his own personal army. Just as with shows like Death Note, Code Geass features an anti-hero – one who has a true cause, but a rather twisted morality. Lelouch will do almost anything to achieve his goals, and takes us for one hell of a twisting ride. The mecha or “knightmare frames” are a key component of how Britain was able to conquer so much of the world. They aren’t the best realistic mecha I’ve seen, but the battle scenes are perfectly competent and serve the story well. 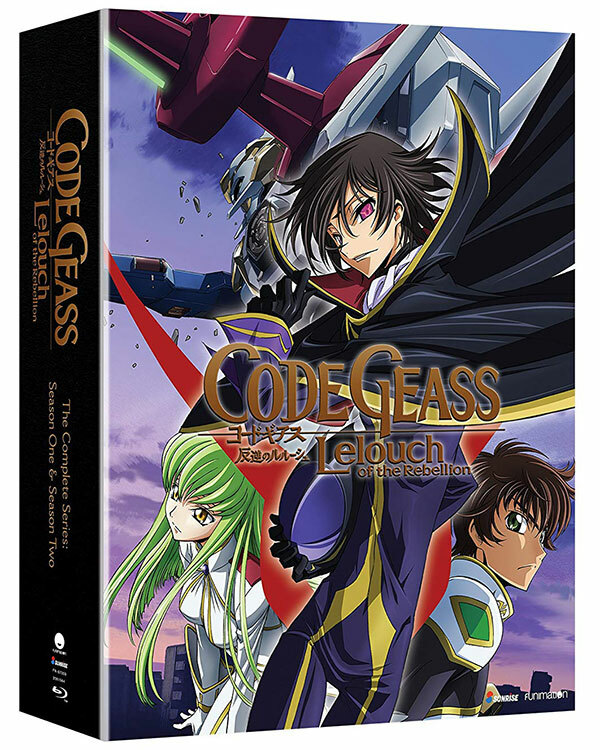 As a whole Code Geass is not only a great mecha anime, but one of the best anime period. No, I didn’t forget how to use an apostrophe. That’s really how the title is meant to be rendered. Don’t let that minor foible fool you though. Knight’s & Magic is one of the smartest mecha shows out there. This show blends quite a few different genres. It’s a mecha show, but the mecha are magical rather than scientific. Except they sort of are scientific, which is one of the main conceits of the story. It’s also an example of “isekai” or “another world” anime. It starts off with our hero dying. Not a great start, but he gets reincarnated in another world and we meet him at the point where he’s a young boy. In his previous life he was a genius computer programmer and hard-core mecha fan. This translates into his new life where he revolutionizes the magical mecha design of his new world by applying his scientific and mechanical knowledge. 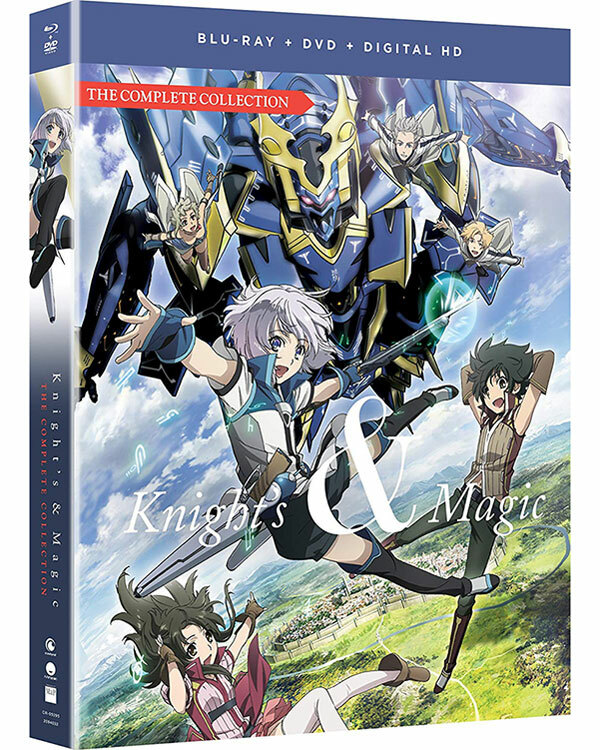 It’s early days for this show and by many accounts the manga is better, but I think Knight’s & Magic is one of the freshest mecha shows out there, which is quite an accomplishment in such a popular and mature genre.